8DS- C.G. 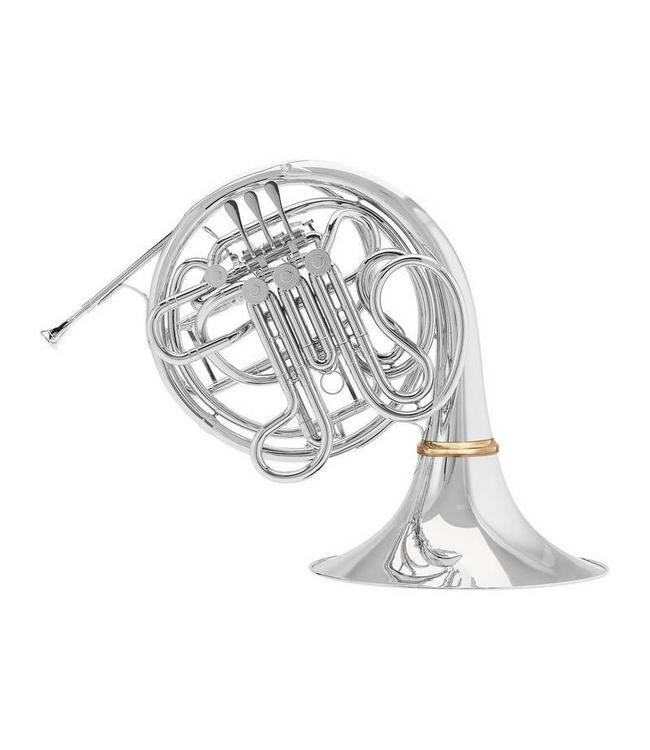 Conn "CONNstellation" - Key of F/Bb, .468" bore, Kruspe wrap, 12-1/4" large throat nickel silver screw bell, all nickel silver construction, tapered rotors and bearings, mechanical change valve, adjustable lever bridge, clear lacquer finish, C.G. Conn 7BW mouthpiece, 7708DS fabric covered bag case. 8DRS- C.G. Conn "CONNstellation" - Key of F/Bb, .468" bore, Kruspe wrap, 12-1/4" large throat rose brass screw bell, rose brass first branch and mouthpipe, nickel silver slide crooks and slide tubes, tapered rotors and bearings, mechanical change valve, adjustable lever bridge, clear lacquer finish, C.G. Conn 7BW mouthpiece, 7708DS fabric covered bag case.